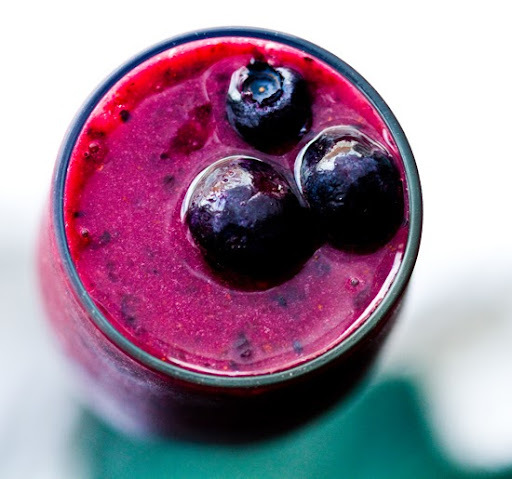 Spiced Blackcurrant Blitz Smoothie Recipe. Energizer! Happy Monday everyone! After a crazy long week of a Masterchef audition callback - where I made a few (from scratch) Pumpkin Pies with homemade Ginger Cookie crust, a three-day awesome Dole Wellness Blogger Summit at the Four Seasons in LA, a Chili Cookoff in Brooklyn - I can say one thing: I'm tired! Yet still ironically, I'm incredibly energized from the places I've been, people I have met, wellness lessons I have learned and foods I have eaten! ..and to think, it's Thanksgiving in just a few days. Ha! I think I need a smoothie, stat. 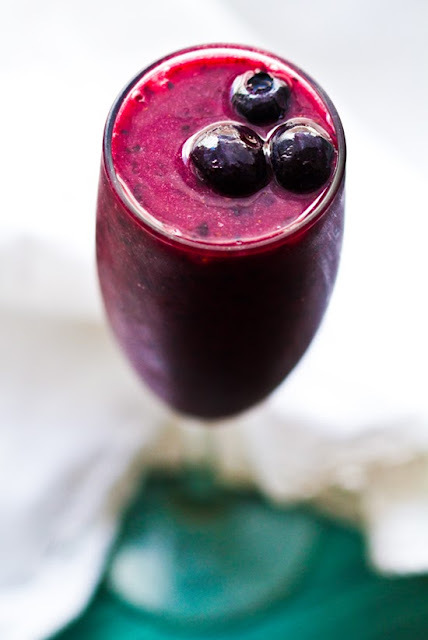 I'll be posting all about my summit in Cali later this week, but for today I wanted to give you a sweet and sassy, antioxidant powerhouse smoothie recipe to try. 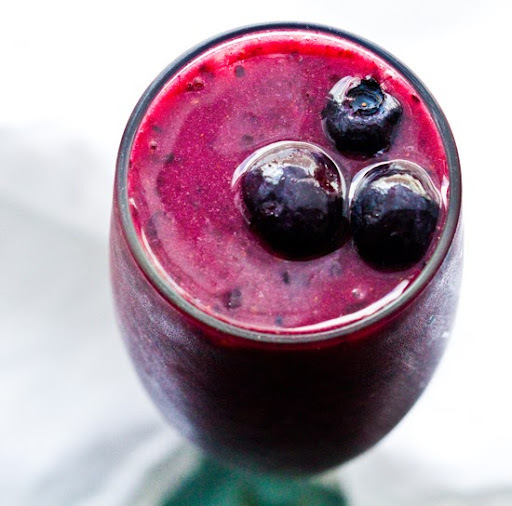 Stock Up on Frozen Berries! One nutrition fact I learned this week is that you can never eat too many berries. And frozen berries can actually sometimes be healthier than fresh since they don't sit on the store shelf and have to get transported before landing in your kitchen raw (berries often travel long distances - more frequent flier miles than me!). Frozen berries are flash frozen quickly after they are picked - and so they often retain more nutrients than fresh. * Farmer's Market (local) berries probably retain more nutrients than store-bought since they have a shorter transport time. 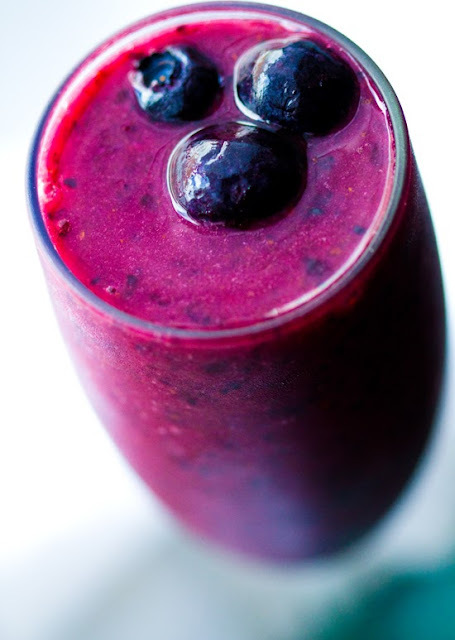 * One study did show that frozen berries are lower in Quercetin - an antioxidant that may help protect the heart. * Overall, the power of berries (fresh or frozen) has been shown to impact cancer and heart-disease related problems in a positive way. ..and always choose organic berries when you can - since you can't really scrub pesticides off of delicate berries. 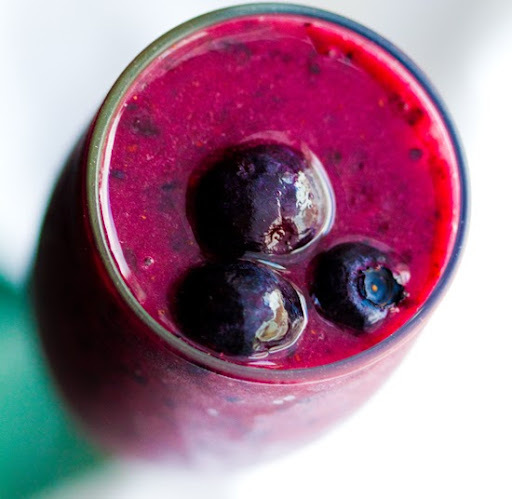 Note: This recipe will be featured on my upcoming holiday update for my Smoothies IPhone App. 5 new holiday-themed smoothies (including a Chocolate Frosted Smores Shake) will be included. Get it now and the update will be included. If you already have the App, the update is also free. Directions: Blend until smooth. Pour. Garnish. Serve.